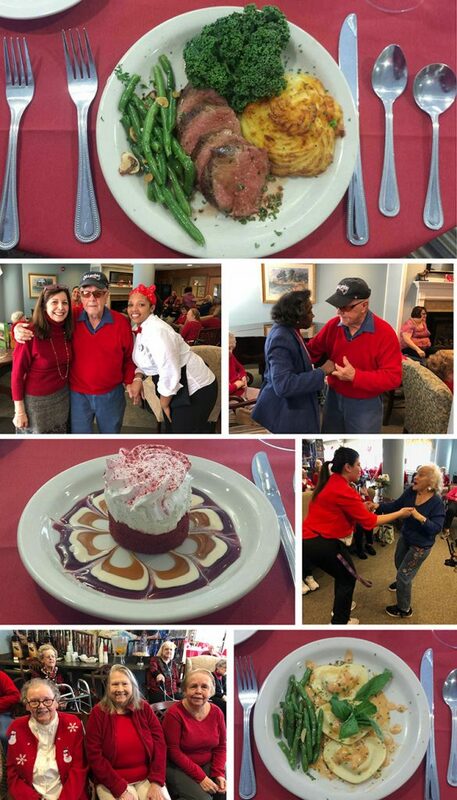 Lively music, lots of smiles, mile of hugs, and a grande finale dinner created and served by our talented kitchen and waitstaff. 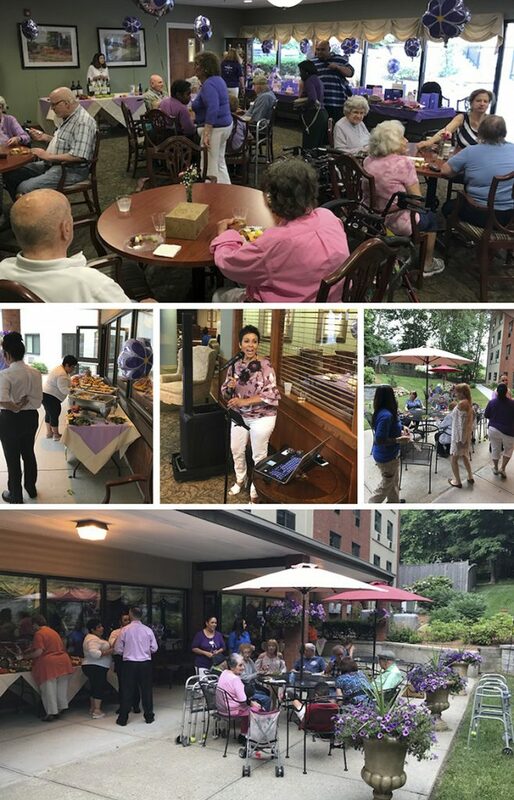 Residents, along with their families, friends and our compassionate and hardworking staff combined to make The Highland’s “Longest Day” Fundraising Auction a great success on June 21st. The gathering enjoyed a delicious buffet prepared by Chef Barreiro and his talented culinary team, the beautiful voice of Janine Andrews, and some incredible auction items donated by our generous arts, hospitality, sports and business community. It seems not a day goes by that residents and staff aren’t all smiles and having a party of some kind. At The Highlands, “life is just a bowl of cherries” because we make it so. We’re so excited! 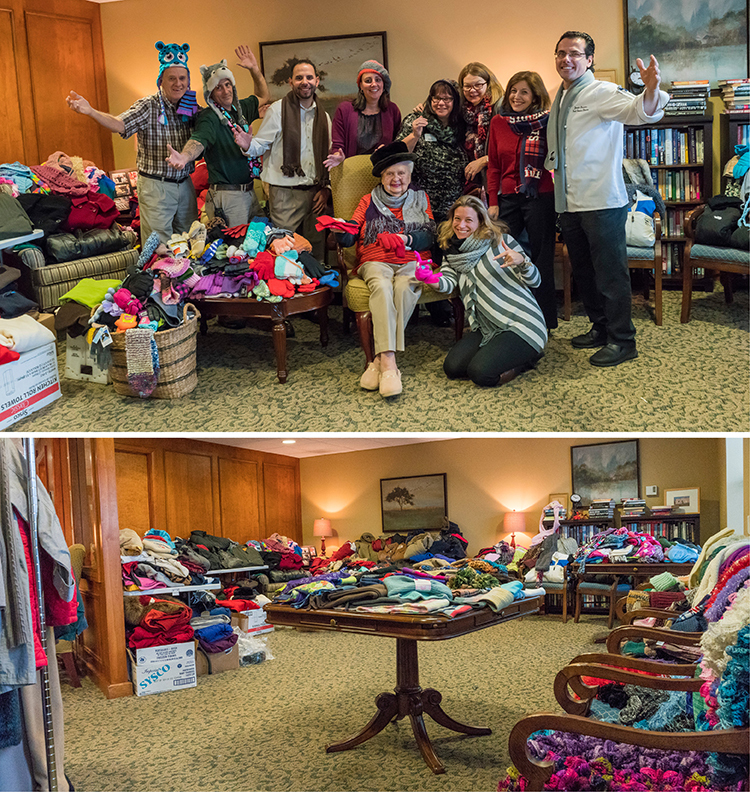 For the 4th year in a row, our residents, staff, families and friends made, purchased, and contributed a record-breaking number of over 1200 mittens, gloves, hats, scarves, sweaters, and coats for underprivileged children and the homeless in our state. Our heartfelt “Thanks” for your enormous generosity and holiday spirit. Each semester, 8 individual first-year medical students from the Brown Alpert Medical School, along with their physician-mentors, are matched with 8 Highlands residents to observe, apply, and improve the clinical skills they learn in the classroom and will need as physicians. 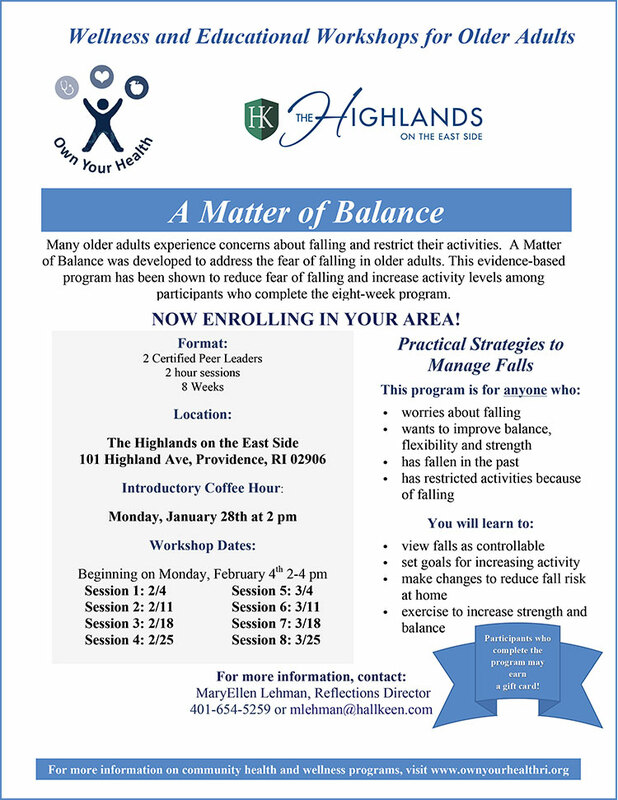 Brown considers this Assisted Living Facility Curriculum an “invaluable component in the students’ educational development”. 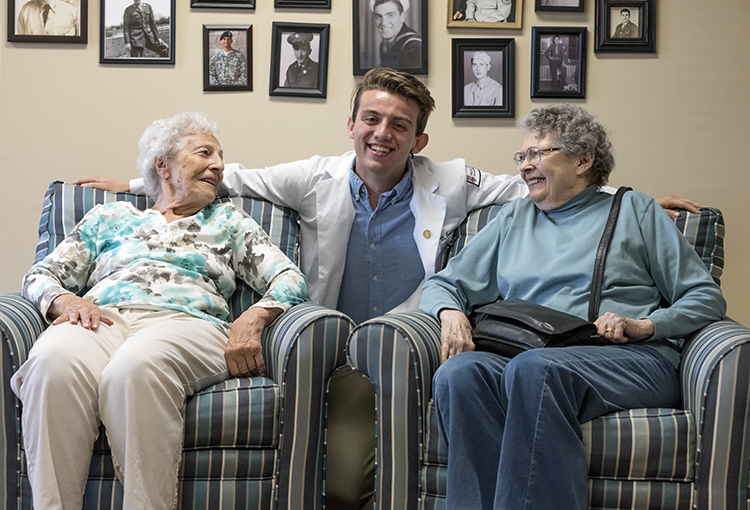 The bonding that results between student and resident couldn’t be more mutually rewarding. Computers can be particularly intimidating to those who grew up with typewriters and black-and-white TV. 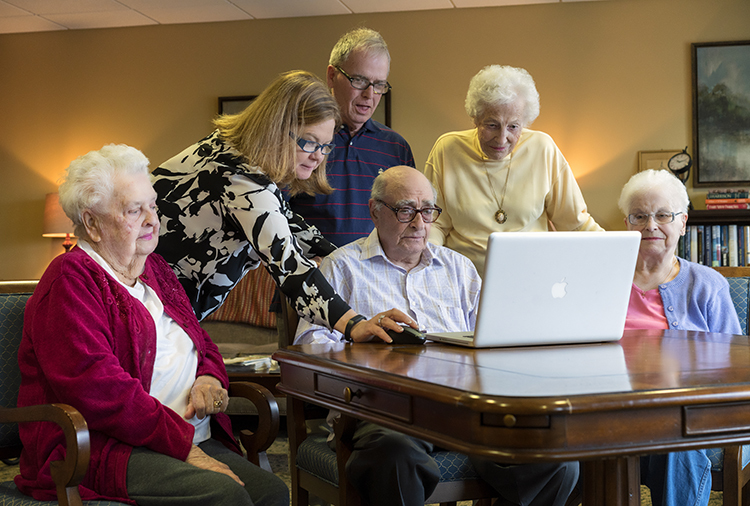 Our weekly lessons on computers and the Internet have opened up new worlds for our residents, including learning how to email, participate in social media and Skyping to stay in touch with family and friends. 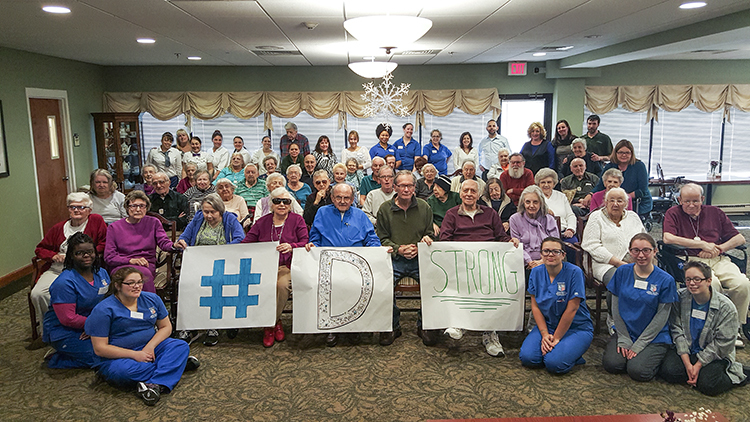 On January 20th, proud of his courage and praying for his wishes to come true, The Highlands honored 8-year-old Dorian Murray of Westerly, RI, with their #DSTRONG message of support in his struggle against terminal cancer. Memories of the RI Reds! On May 13th, Buster Clegg, Founder and President of the RI Reds Heritage Society, told residents and guests the fascinating story of how, for 51 years, Sunday night was “Hockey Night” in Providence. It all took place right next to us here at The Highlands, in the 5,500-seat RI Auditorium. The presentation was highlighted with a 35-minute video, “When the Reds Ruled the Roost” and given as a gift to our community. Student members of the RI School of Design’s “Pigeon Club” marked the installation of The Highlands’ newly re-designed garden patio with their annual “Releasing of the Doves”. 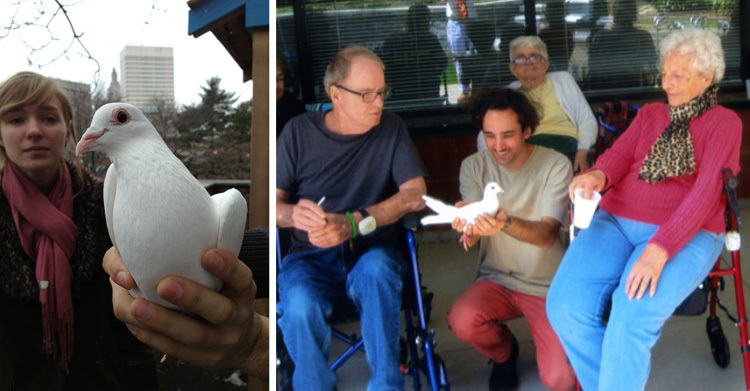 The club, a student-run initiative at RISD, centers around the care of their magnificent homing pigeons, including “Snowy”, being shown to residents prior to her release with the rest of the flock and homing flight back to their roost at RISD. The Highlands on the East Side is proud to announce its selection as a recipient of the “Best of 2015” Award of Excellence as chosen by SeniorAdvisor.com. 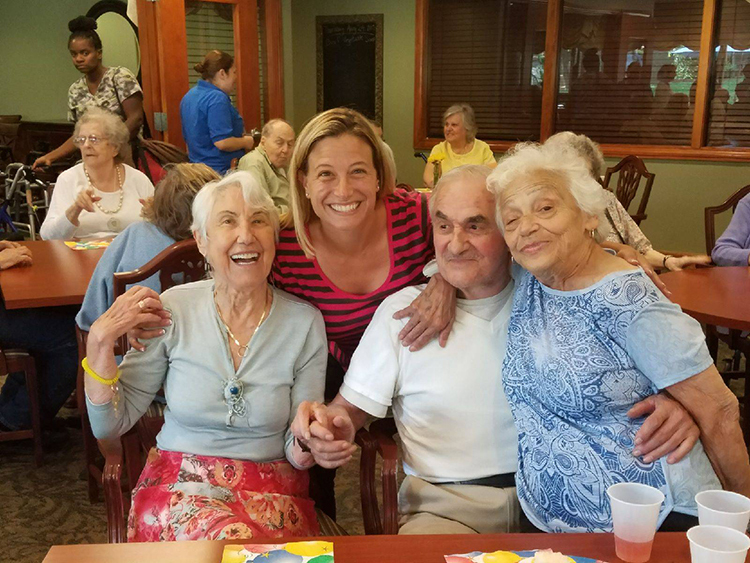 The national organization’s Awards program recognizes outstanding senior living and home care providers who have received consistently high ratings from residents and their families. 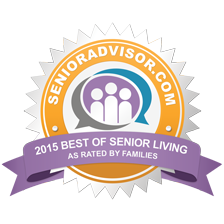 Winners of the SeniorAdvisor.com Best of 2015 Awards are located all over the country and represent the top tier of in-home care, assisted living, and Alzheimer’s care communities.